It's hard to get a grasp on the facts when it comes to politics these days, but one thing's for certain: the youth are getting restless. Whether violently shaken from apathy by the election of President Donald Trump and his administration's enactment of ridiculous policies, stirred by the stubborn refusal of the North Carolina legislature to admit the catastrophe that was House Bill 2, or spurred to action by the shooting of Keith Lamont Scott and the city's response, the last two years have seen young people in Charlotte standing up against injustice on a city, state and national level. So perhaps it's no surprise that already the 2017 Charlotte City Council election is shaping up to be the youngest in recent history, with already at least 11 candidates under 40 years old having announced a run and still a month until the filing deadline. 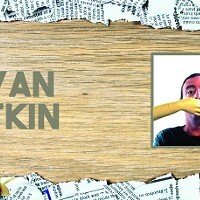 Creative Loafing sat and spoke with some of those nominees over the past week. Here's a quick rundown of some of the important issues as seen through their eyes going into the election. 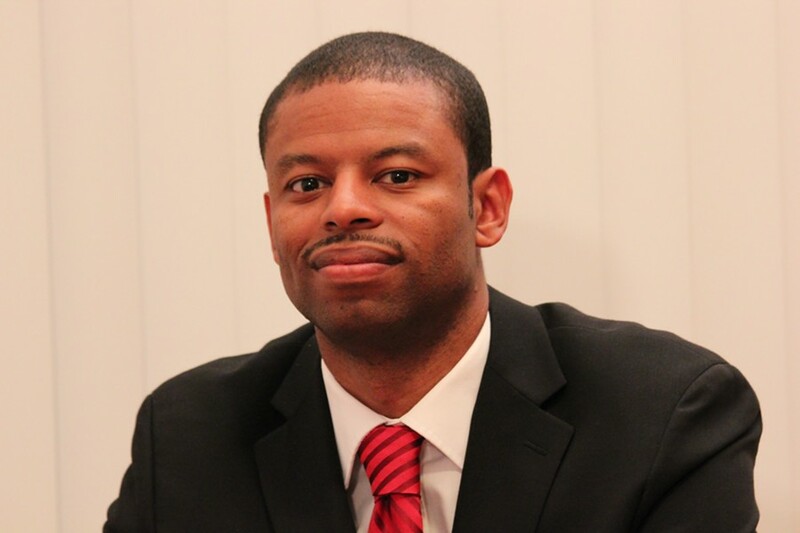 Larken Egleston was appointed to his first city council committee, the Charlotte International Cabinet, in 2010. Since then, he's been heavily active in local politics, serving on the Charlotte-Mecklenburg Historic Landmarks Commission, as president of the Young Democrats of Mecklenburg County, as state delegate for the Democratic National Convention and on the board of the Plaza Midwood Neighborhood Association. 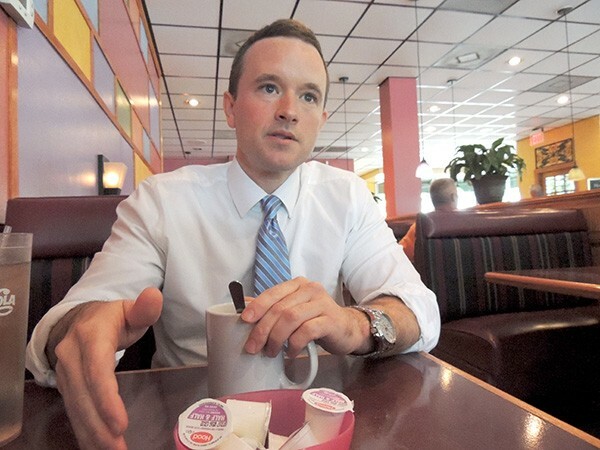 Egleston, who will be running against long-time District 1 representative Patsy Kinsey, is running on a platform that includes prioritizing transportation and preservation, but his biggest passion is housing. "Housing to me is the one thing that if you get it right, it fixes so many problems. As far as Charlotte being last in the upward mobility study, which obviously we've all heard 1,000 times — it's great that we know that, but we've got to be more proactive. First of all, we should've never gotten to that point, but now that we are at that point, we've got to be more proactive about fixing it. So housing to me is the lynchpin there. "A lot of people who run for city office will talk about schools, which oftentimes is disingenuous because the city has very little purview in schools. But if you distribute affordable housing around the city, that is the biggest impact the city can have on schools. The parents — the loudest of the parents — would tell you that they want two things, they want first and foremost neighborhood schools, but then they say, 'Yeah we want diverse schools, but not at the expense of neighborhood schools.' The only way to have diverse neighborhood schools is to have diverse neighborhoods, and we don't currently have very diverse neighborhoods. So you fix the housing thing you can have diverse neighborhood schools because you have diverse neighborhoods." 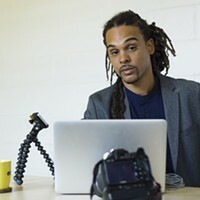 Jessie Boyd never considered becoming active in politics until he served as N.C. Director for Veterans for the Bernie Sanders campaign last summer. As it became clear that Sanders would not survive the Democratic primaries, the Charlotte native and Army veteran, who did a nine-month tour in Afghanistan, decided he would take action to keep the dream alive. "A lot of people don't know who their district rep is, or their at-large rep, they only know the mayor. If you don't know who to go to or to talk to about the problems that are going on in your neighborhood, that's crazy. You should know who's in charge of your area and who's going to be accountable if something needs to be done city-wise. "I'm not even going to say it's just my age group, even older people. I went to my church and I made an announcement, I asked, 'How many people here know their district rep?' I probably got two hands out of 200. That's something we need to change." 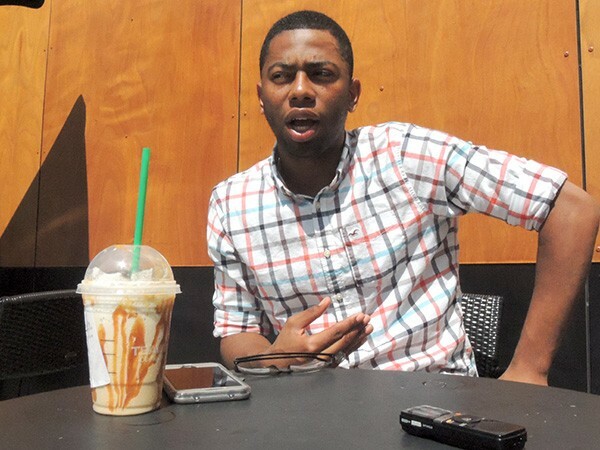 Jesse Boyd discusses his campaign at a Starbucks off Arrowood Road. "There are two sides to the story. You have to make sure you're selecting the right police officers to go out in these communities, and some of them may be scared of being in that community, but that's your job. "And then also, I would say the leaders of the communities need to police their children and make sure they're not disrespecting police officers. At the end of the day, everybody wants to go home to their families. Nobody wants to go to jail and nobody wants to take anybody to jail. Nobody wants to fight somebody, Tase somebody, possibly shoot them. We need to police both sides of this situation, because it takes two." 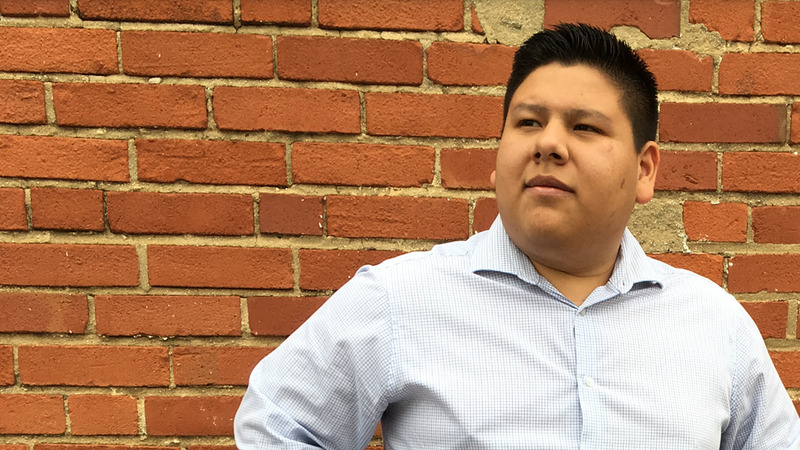 At the recent Charlotte Millennial Political Candidates Forum at Heist Brewery, Daniel Herrera was the only Republican and the only Latino candidate on the stage. Predictably, he was singled out for plenty of questions on immigration. Although he did state at the forum that he would support the idea of CMPD working with ICE on tracking down undocumented immigrants, he was quick to emphasize that he is more focused on local issues than federal ones like immigration enforcement. Herrera is running on his "Three Points for Victory," which include creating jobs, improving community relations with police and spurring economic growth by making Charlotte more inviting to out-of-state businesses and organizations. "I would love to see the Republican party reach out to young people. Especially right now, I think we have a very ambitious generation that's looking to invest in themselves and maybe even start their own businesses after college. I think we're doing a great job. [The Mecklenburg County Republican Party] has a new chairman, Chris Turner, he's a young man who definitely knows how to lead a party. He's a very smart man. I think we're starting to see that change, especially here in Charlotte. "But, yeah, I think nationally we'd like to see more people become like the Mecklenburg Republican Party. It's diverse and young and I think that the Mecklenburg GOP is going to be a shining example that sets national standards." "There's this stigma out there that Latinos only care about immigration, and I think that's wrong. At the same time, this is a federal issue, this is something the city doesn't have power over. CMPD has even said that they do not enforce immigration laws, that's something that the federal government enforces. "I think Latinos are more worried about making sure their kids come home safe. I think they're worried about making sure the quality of living for their kids and their families are better in their city and that there's opportunity for them. They're worried that there's not going to be much opportunity here. I want to be a voice for Latinos. If they want to talk immigration — and there's a certain group that wants to talk immigration — I'm more than happy to connect them with their congressman or their congresswoman or their U.S. 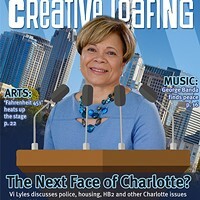 Senator, but I'm focusing right now on the policies that the city can affect and I'm focusing on Charlotte." When Justin Harlow moved to the Biddleville neighborhood in west Charlotte after graduating from dental school in 2014, he didn't waste any time getting involved with the community. Within a month, he was attending the local Young Democrats meeting, and he joined the Biddleville-Smallwood Neighborhood Association shortly thereafter, and has since become president of that group. 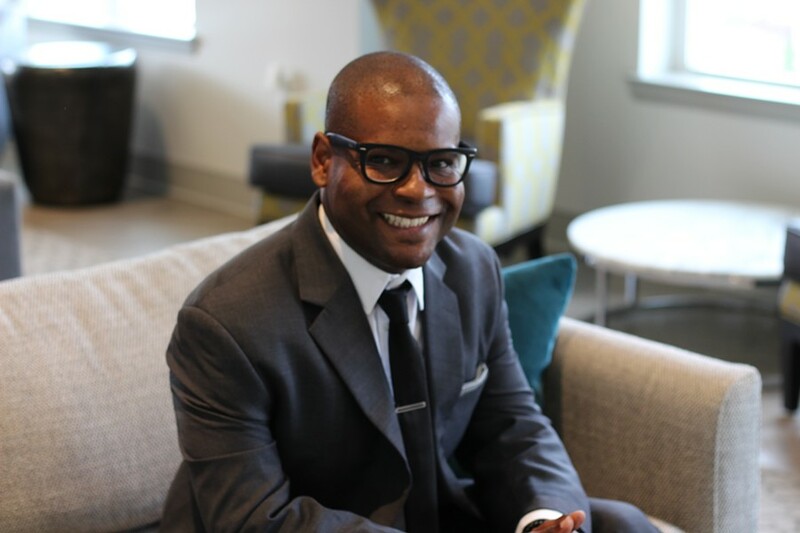 Now, as his friend Al Austin steps down from the District 2 seat, Harlow hopes to continue his work in the ever-changing Historic West End. 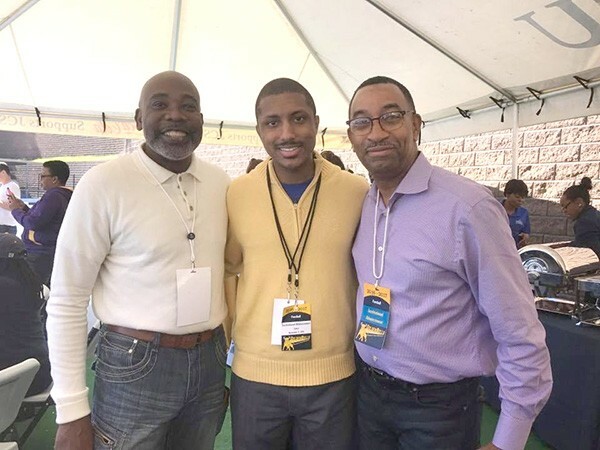 Justin Harlow (center) with mentors and one-time District 2 representatives Al Austin (left) and James "Smuggie" Mitchell. "When you talk about affordable housing, gentrification, the displacement effects of that, I see that big time as a neighborhood president in my own community. So how do we combat that? 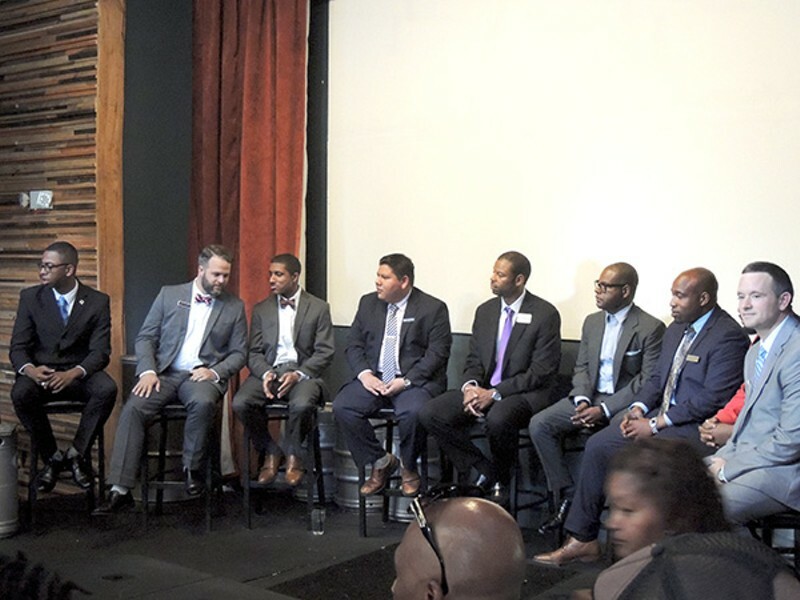 How do we create strategic and intentional development that supports economic growth in a West Side Corridor that has historically been marginalized but at the same time acknowledge, Charlotte let's face some of our issues. "That's why I'm running for office, is to really try to protect our neighborhoods, preserve some of these historic West Side neighborhoods, but also create an environment where we have a government that responds to the needs of the citizens and can combat some of those negative things that we consistently talk about but no one's created any solutions for them yet." "I grew up in a two-parent household in south Atlanta, which is just like west Charlotte, majority African-American. Atlanta with its own growth, just like Charlotte, has seen a lot of changing with its neighborhoods. "I tend to think Atlanta kind of got it wrong; our traffic is terrible, our transportation is horrible, our neighborhoods are still segregated, and Charlotte is moving down that same path. But we have an opportunity still to be the world class city we want to be, we just need some leaders at the table on the council that will help shape that future, and for today." When Creative Loafing caught up with Dimple Ajmera for a Q&A last month, she was coming off a developer's forum in which more than 40 development companies from around the region, country and world visited the former Eastland Mall site to give feedback on possibilities for development. While keeping Eastland a priority, she has since began work on leading the conversation about redevelopment of the Independence Boulevard corridor. But soon, Ajmera will have to change focus again, as her appointed term as District 5 representative nears its end and she runs for a new, at-large seat. "It's sort of like drinking water out of a fire hose. Jokes aside, this is definitely a good experience for me trying to attack all the economic development on the Eastland side, while also working on Independence, expediting that, while running a campaign. It's a huge undertaking. "But as I was thinking about running at-large, I know I couldn't have done this without the support that I have from many, many community leaders and volunteers, a team of almost 30 people. 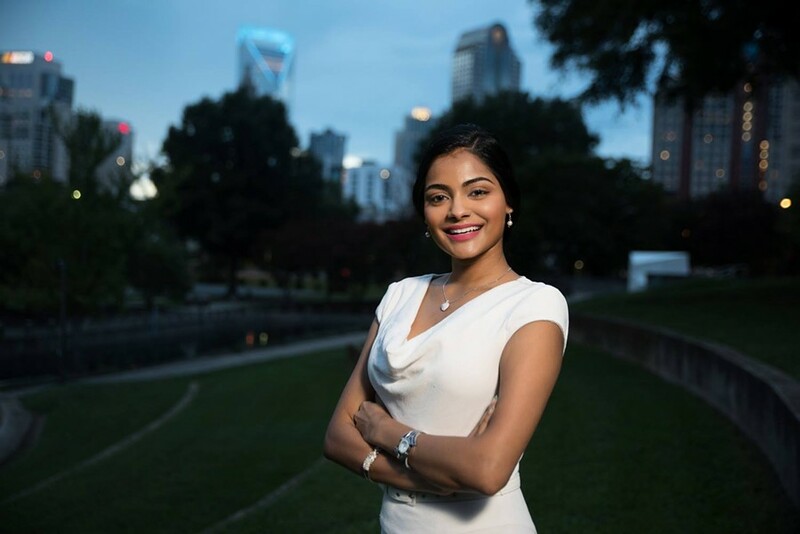 So I think having that support system has really helped me continue to tackle what I'm passionate about for my district and the campaign also aligns with my overarching goal of providing jobs and opportunities throughout the city and not always just to focus on Uptown and Ballantyne and the South End area." 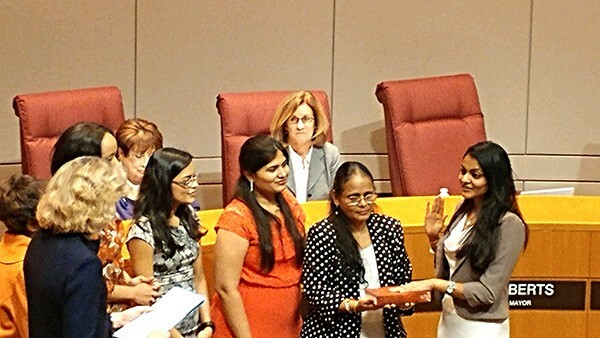 Dimple Ajmera (far right) stands with family as she’s sworn in as District 5 representative in January. "Especially our generation, unfortunately, focuses a lot on a national level. Sometimes I think about it and, you know, you have very little control over it. What truly makes community a great place is the local policies. So people need to get involved if they want to see a better community. "I really hope that millennials, when they read this article, that they realize how much impact local politics has in their daily life. Some of them don't even realize that it starts anywhere from your water and your sewage all the way to transportation and the bus you take, to police and fire and other critical resources. I really want more young folks to know about this. Think about it, the council makes the zoning decisions, the planning and this and that that's going to impact the next 40 years. So if you're going to be around for 40 or 50 years you need to get involved." 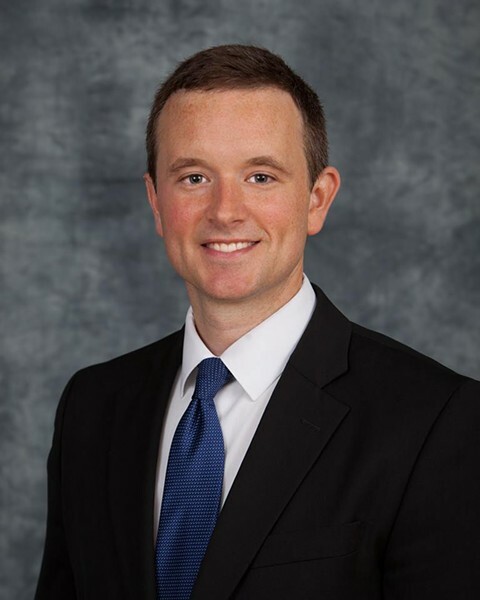 Like Egleston, Matt Newton has been quietly working behind the scenes in recent years to build an impressive resume of work that sets him up nicely for a run at council. The practicing attorney served as chair of the Mecklenburg County Democratic Party, spearheaded the effort to reform Charlotte's Citizens Review Board and has sat on numerous other boards and committees locally. Newton even camped out with Occupy Charlotte in 2011, an experience that inspired him to play a more active role in local politics. "I think the growing inequity in socioeconomic opportunity across the country, especially here in Charlotte, has always concerned me. The dwindling middle class and the fact that most of us are working more hours for less pay, that has affected very detrimentally the family unit and has led to parents spending less time with their children, placing more of a burden on our schools and teachers, and in turn the schools and teachers are receiving less money, so it's just a broken system altogether. "I think that was really embodied for me in the core tenants of Occupy — I'm not talking about the ancillary kind of circus it became — those frustrations and that need for us to think more, to understand that we're individuals in a grander or greater community." "A lot of [the Eastland Mall site development] is about creating an economic driver there and quality green space as well — just having an attraction for us that we don't have. Even Independence was an attraction. When I was younger I lived right behind Independence, and we didn't have to drive 20 minutes away to go shopping or get something to eat, we could literally walk there and that's what we did. That doesn't exist here any longer. "When my fiancé and I go shopping or we go out to eat or want to go watch a movie and have an evening together, we go to Matthews or we go to another county, we go to Cabarrus County, Concord Mills, or Starlight, which isn't Mecklenburg, and that's because we don't have those amenities right here within our own neighborhoods." 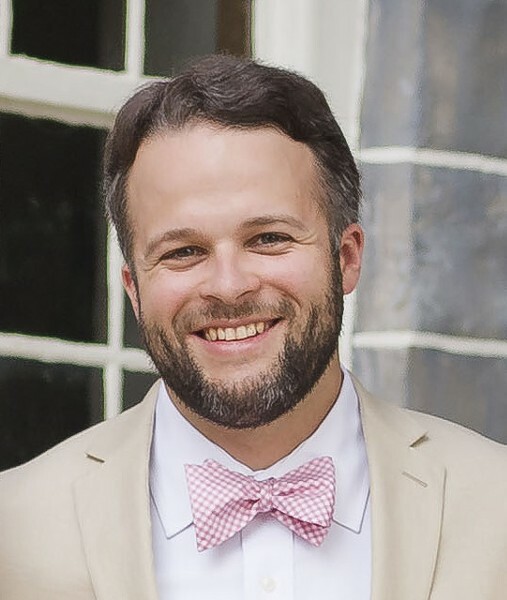 Wil Russell's first foray into local politics came with his campaign to represent District 4 in northeast Charlotte in 2015. After losing in a primary runoff, he began to get involved wherever he thought he could affect change, serving as a board member with Sustain Charlotte and the Prosperity Village Area Association while sitting on other committees like Charlotte's Immigration Integration Task Force. Now, Russell hopes to use what he's learned over the last two years to make another run at representing the greater University area. 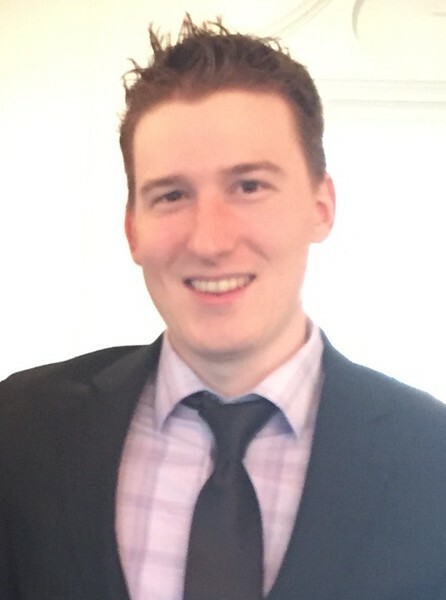 Russell's number one goal while serving on the council is to look at ways to change the city's zoning laws as a potential solution to a number of local issues. "I think the biggest issue, not only here, but citywide has got to do with the zoning ordinance. When you look at the myriad of issues that Charlotte faces, whether it be affordable housing, whether it's being 50 out of 50 on economic opportunity, whether you look at transportation, all of those things come back to the zoning ordinance. "Let's just take affordable housing, for instance. When you look at the zoning ordinance, the densities that are required don't allow for the type of housing that you need for affordable housing — you're talking about duplexes, triplexes, quadplexes, those are hard to do. Then you add into it the parking. When you see these large apartment blocks, if you've got a 300-unit apartment block and you've got one and a half parking spaces per unit, what does that do? So if you're talking about $1,000 rent just to build a building, now you've got to add a parking deck, now you're up to $1,400 a month in rent, and that's not affordable for most people. So you've priced out a segment of the market. "In my mind, gentrification is more of a symptom rather than a disease. We're thinking about gentrification as saying, 'Oh that's the end point, that's what we need to solve.' But that's not really the issue. Gentrification is a result of what you're doing with zoning. "When you look at neighborhoods, they're either single family or their multi-unit, multi-family housing, there's nothing in between that. But if you go and look at the neighborhoods, the NoDas, the Plaza Midwoods, the Dilworths, what do you see? You see a diverse range of housing sometimes on the same block. In Chantilly, you may have a single family home, then a triplex, then another single family home, then maybe a two-story walk-up. Those are the things that by code right now you can't build. But those are also the types of places that you need to build to get people in because they can afford it. When you start to gentrify it, you're gentrifying it because someone's buying the land for next to nothing and then they're going to stick apartments on it, and the cost of construction, the amount of land that they have, the amount of parking they have to provide is all going to drive that cost up, so by default you're pushing out the people who have been there and adding a brand new class of people." As it became more clear who would become the two candidates for president in last year's election, David Stamper became more disillusioned with politics in America. The results on both sides were not what he was hoping for, and he eventually decided to vote for Libertarian candidate Gary Johnson. Come election night, he found a watch party hosted by the local Libertarians and decided to attend. It was there that he realized the folks there weren't quite as "kooky" as he'd ben led to believe about Libertarians. Just a matter of months later, he was convinced enough to throw his own hat in the ring as a Libertarian candidate for city council. His platform includes cutting wasteful spending, ensuring rights for LGBTQ people and decriminalizing marijuana at best he can from the city level. "Libertarians in a lot of ways are a good compromise between the two parties. We lean left on a lot of the social issues, but we lean right on a lot of the economic issues. We believe in people not politics. We think that if you want to enact change, that starts with people, and people can do a whole lot more than the government can do and a whole lot more efficiently. "So what that means is you get a voice in there that's not just going to make partisan decisions. They're not just going to go with the Republican side or the Democratic side because they don't have a party affiliation in either way. So you've got an independent voice who can look at a problem with fresh eyes and side with the one that makes more sense as opposed to the one that's going to give you more political capital." "We're seeing a growth in the number of people who are voting Libertarian, we're seeing a growth in the number of people who are volunteering, and people can really sense that there's a change happening. People are really tired of politics as usual, where Republicans and Democrats are pulling the same political tricks back and forth. People want to be behind something that's more authentic. Libertarians are really big on transparency and authenticity, and we don't dance around things, we know where we stand. It's an exciting thing." 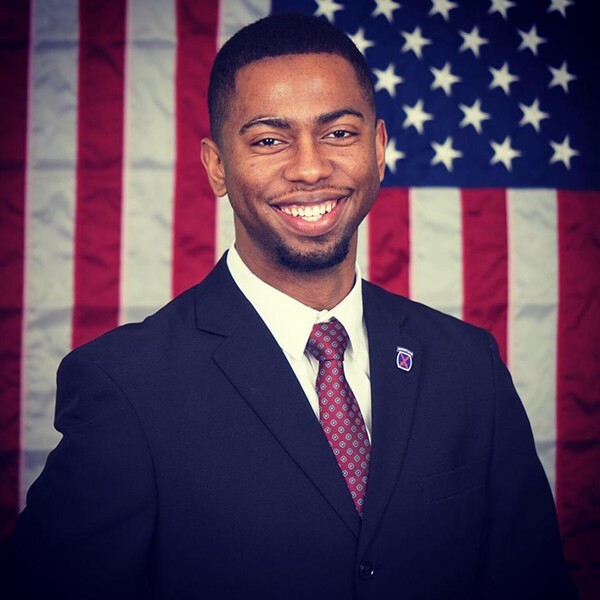 Damiko Faulkner's first political campaign came just a year ago, when he ran at-large for the Mecklenburg County Board of Commissioners. The experience was a rude awakening for the Ben Salem Presbyterian pastor. "I learned that Mecklenburg County is much larger than I thought before having to walk it," he says. "It's a totally different perspective. The county is, oh man, it's crazy." Faulkner scaled back, and will be running this year on a city level to represent his own district, although his solutions are for the city as a whole. "I strongly believe that family is the foundation for the change that we need to see. Now what family looks like, what the particular issues are from family to family, chances are that those will never be the same. But family is the foundation to change, and in order to address the issues which make up my platform — economic opportunities, family stability and public safety — we have to have strong and stable families in order to reach what could be our potential to be the best greater Charlotte area that we can be. "I feel as though without having strong, stable families, we limp to that end, as opposed to running. The reality, however, is that the day of the traditional family, if you're looking for Wally Cleaver, those days have long past. To expect that I don't think is being realistic. Family is whomever you have." "I would like to see people in a position to be the best them that they can be. It's not a matter of boot strapping, if you will. There are just some elements that are working against people who have the best intentions and have made the best strides that they could. "All of my friends are college-educated, post-graduate doctors and so on, but we find ourselves in the same predicaments, and something is strange about that. We were raised to have the belief that we could be anything we wanted to be, and to be that, there are different roads, but a lot of times, my friends were encouraged to go to college, and once you go to college and come home, everything is OK. But truth be told, for the millennials, that has been a struggle, man. "I just can't say that all opportunities are presented equally, and I'm not saying that it is solely a racial issue, but there are some who benefit and others that don't, and I believe that if we're going to play fairly, then let's even the playing field."